If you do not see what you need, we can probably provide it. 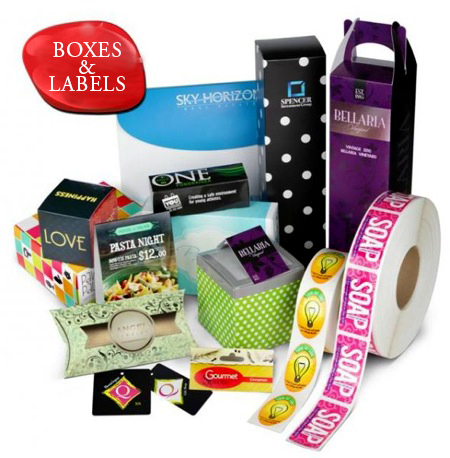 Business Cards – heavy paper stock, full color both sides, laminated both sides, square corners: If you would like to write on the card, we would need to not laminate the back. If both sides are not coated, the cost goes up. 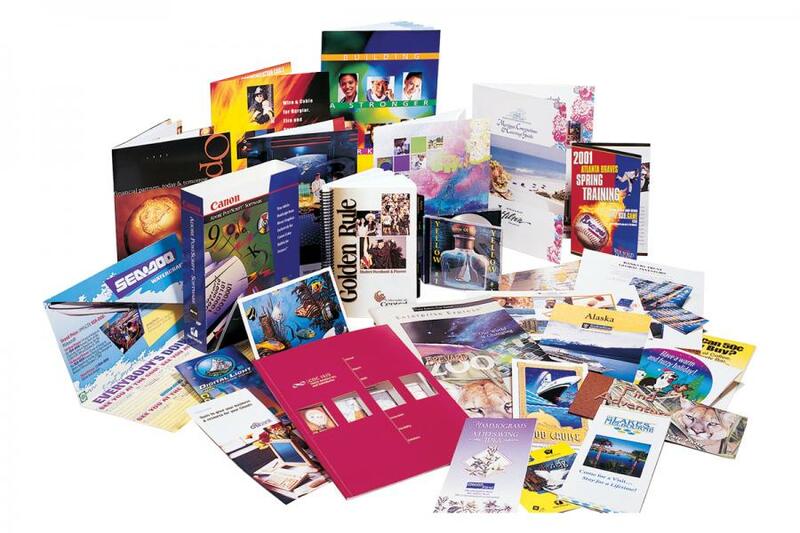 Presentation folder – 14pt stock, full color outside and inside pocket flap, UV coated. Can have one or two business card slots, can have CD slot. 9x12 in size. Banners – we can provide all types and sizes of banners, vinyl (movable) wall art, window clings and outdoor wall hanging banners, tradeshow/bridal show pull-up banners. These are priced based on size so please ask for a quote. - Bridal show / trade show / location marketing – pull-up banners. Come with carry case, easy setup and take down. Telescoping frame is 8ft tall and will stretch from 5ft to 10ft. Fabric Tube Displays are the ideal signage for any trade show, meeting or network function. They can be placed on the ground or elevated surfaces for maximum visibility. 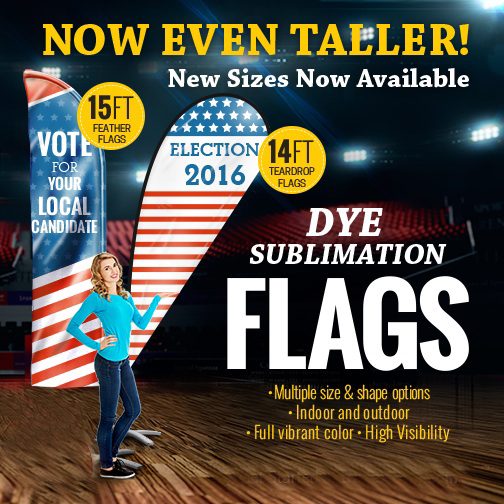 High-quality graphics are printed individually on 9oz Premium Polyester fabric using dye sublimation and are sewn together creating a double-sided display that cannot be missed. Prices are for printing only. Client can provide "ready to print art" or we can do the art creation. Our prices for art creation are very affordable. If the client wants to provide ready to print art, the art MUST comply to general standards of the printing industry: CMYK colorspace, 300 dpi and must include the proper bleed. Failure to comply with these standards will produce less than optimum products and there are no reprints or refunds. We can provide templates to clients wishing to create the art which, if not changed, will produce quality product. We must collect sales tax at the rate of 7.5% on the total order. We prefer to collect the balance in full with the placement of the order. For corporations that must have open accounts, we must be paid in full within 30 days of delivery of the product.